Welcome to Cricket News Today - a one-stop destination for all the significant developments from the world of cricket in each day. The third Test between New Zealand and Bangladesh which was scheduled to start on the 16th of March at the Hagley Oval has been called off after the mass shooting in Christchurch. The Bangladeshi players narrowly escaped the shooting incident which took place in the Al Noor Mosque in Christchurch. They had gone there to offer their Friday prayers but before they could enter the mosque, the shooting took place and they were safely escorted back to the hotel. There’s a fresh turn of incidents in the case of Sreesanth while JP Duminy has announced that he will retire from the 50-over format after the World Cup. Here are all the top news that made headlines in the cricketing world today. The Yo-Yo Test is one of the prime fitness tests for the Indian cricket team. Under the captaincy of Virat Kohli, India have made it mandatory for the players to pass the Yo-Yo Test in order to be considered for selection. However, Chennai Super Kings (CSK) have decided against the Yo-Yo Test ahead of the upcoming IPL season. 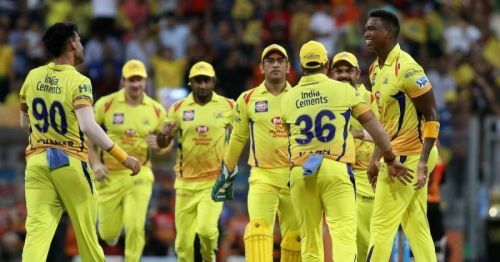 Former India trainer Ramji Srinivasan who is a part of the CSK setup this season has opted for the 2 km or 2.4 km and the Sprint Repeat test". "These couple of tests will gauge the players’ fitness ahead of the 12th edition. He said that just because Yo-Yo is a standard for the Indian team, it’s not necessary for him or CSK to follow the same. “I have picked the 2km or 2.4km run to check the fitness standards of the players as also the Sprint Repeat test. Just because the national team does the Yo-Yo test doesn't mean I need to follow the process. I believe in the need to prepare challenges for players keeping their specific requirements in mind". "For example, even when I was with the Indian team, the training regime I prepared for Dhoni wasn't the same as the one for Sachin Tendulkar,” Ramji Srinivasan was quoted saying by IANS. IPL 2019: What exactly went wrong for KKR against CSK?